Instagram has evolved from well curated grids to now fun and unique content in Instagram stories. Instagram stories are now playing a huge role in creating social content strategies for brands and content creators. If you aren’t utilizing Instagram Stories especially Instagram Templates you should. Instagram Stories is an essential part of your followers’ overall experience while using Instagram. 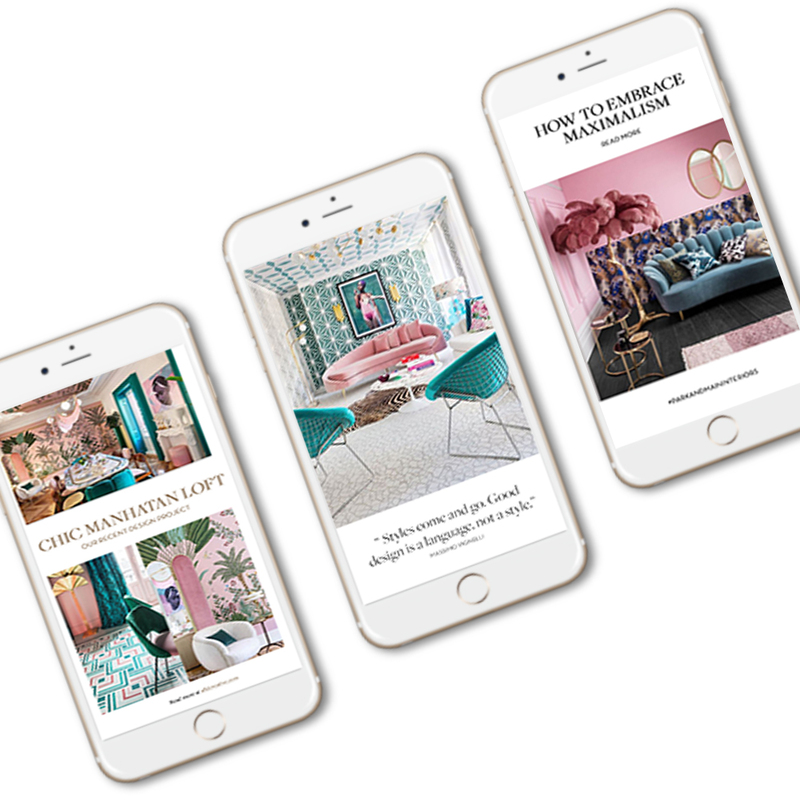 Already using Instagram Stories but you need to elevate your Insta game with templates, here’s why you should be using Instagram Templates. Stories templates are essentially pre made graphics that fit the Instagram story image guidelines that can be easily customized. Using templates in your Instagram Stories, you’re able to create a sense of cohesion for your content. This ensures that the videos and images you share on your Instagram Stories remain on brand with the rest of Instagram feed, which is incredibly important if you’re a brand or influencer. Incorporating templates can also save you time in the long run, simply because you’re able to reuse the same designs with new content you create. Trust us, it’ll save you the headache of creating new graphics for your Instagram Stories every single time you post and if you want to share any of your content from your Instagram Stories in your highlights you can be sure everything will look great together. We created our first set of templates, Studio 80, that are perfectly branded using typeface, color palettes for the template, and well thought out to complement the content you share. The Studio 80 set is a perfect example of how you can use on brand templates to share your content on your brand’s Instagram Stories. What we loved about this package is the option to either highlight a new blog post, quote, or just design inspiration. That way you’re able to have some variety within your templates and your followers can start associating specific templates you share with your content. The set is available for purchase for only $10. These templates are intended to be utilized with Adobe Photoshop and they can be easily customized to fit nearly any brand aesthetic by changing up the fonts and colors of the templates – and no need to worry, we included some helpful instructions on how to customize the files. If you purchase any of our templates, be sure to tag us @afldcreative so we can see!